A unique version of Scotch & Soda made with US quarters and pennies. Precision made in the Martinka workshop. Available again! Coins precision made in the Martinka workshop. 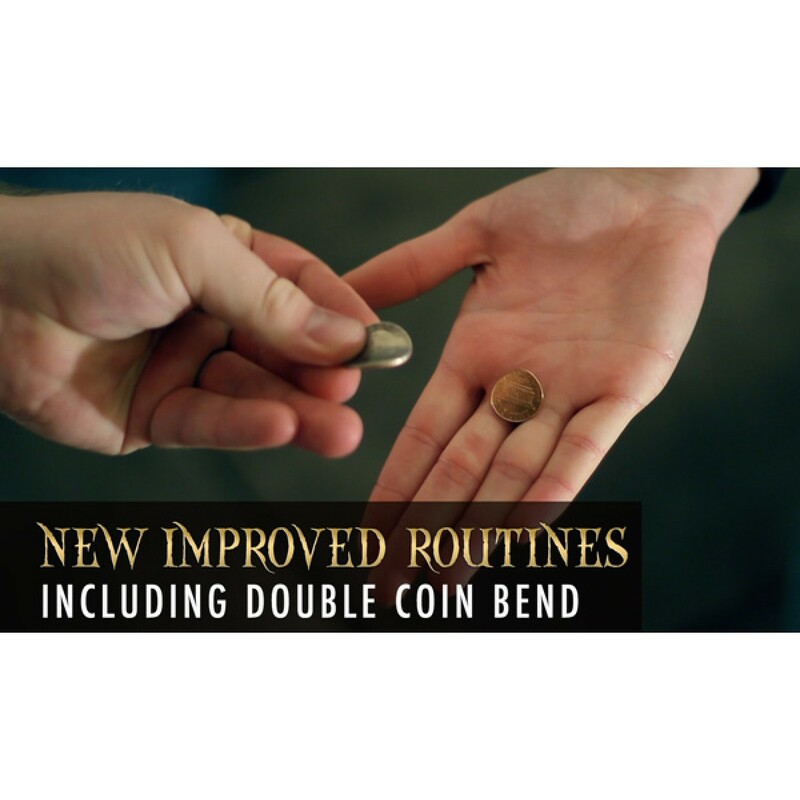 "The routine is easy to do and the coins are superbly made. I'm very excited about this." 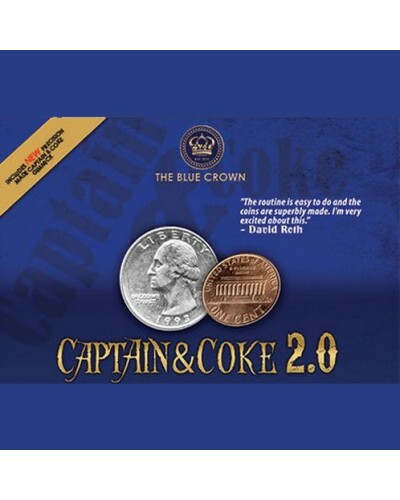 "I love Captain & Coke! The trick and the drink!!" "It's a perfect update, magicians on every level are gonna want one... I'm getting two!'" 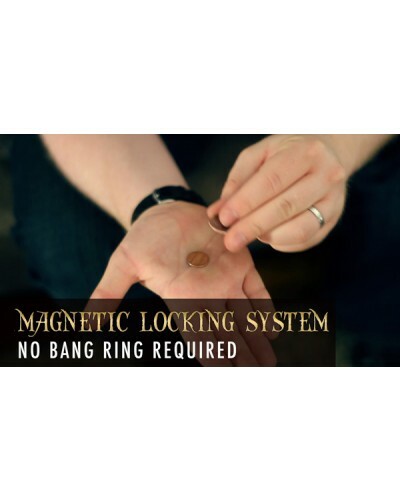 NOW AVAILABLE WITH MAGNETIC GIMMICK! The ultimate modern version of Scotch & Soda just got better! Brought to you by The Blue Crown & Martinka, Captain & Coke 2.0 is made with a US quarter and penny. You could even borrow some change and then perform with your gimmick! 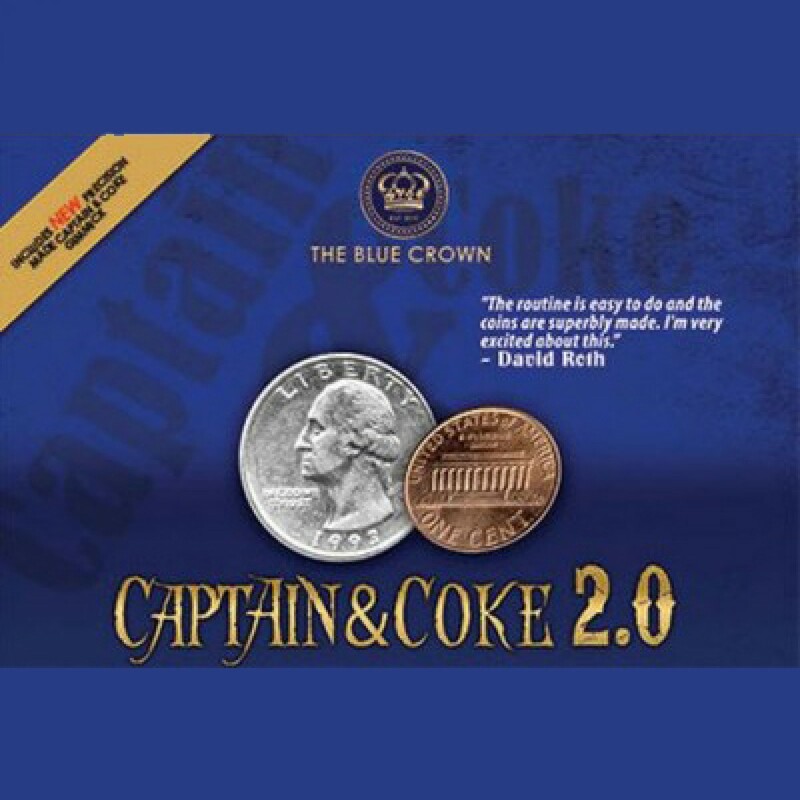 The custom-made Captain & Coke 2.0 magnetic gimmick is precisely crafted to exacting specifications. 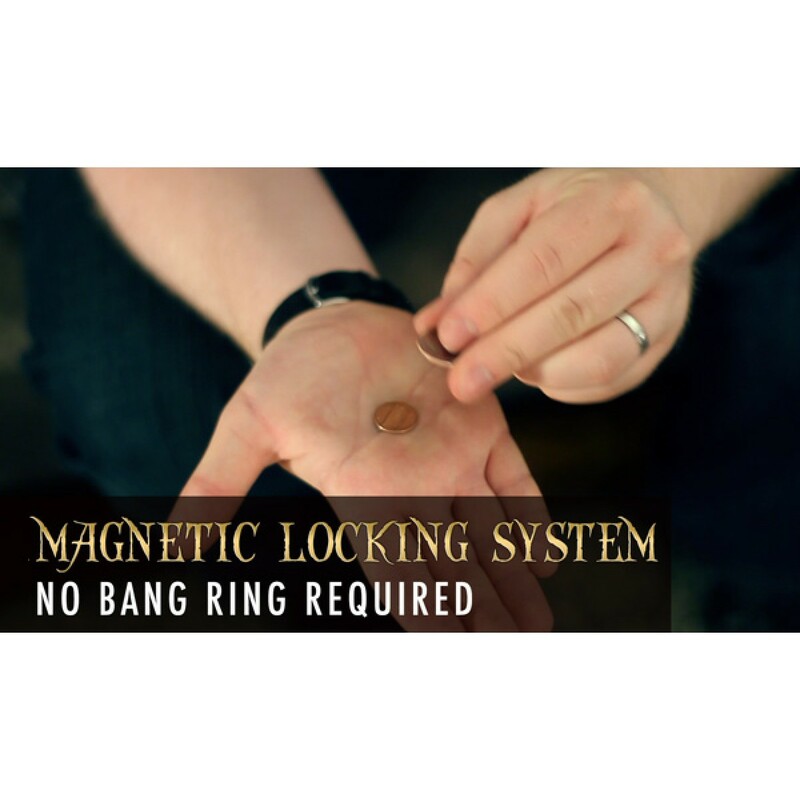 The magnetic locking system makes it easier than ever to perform this pocket-sized miracle! Borrow and Give Away the Coins! 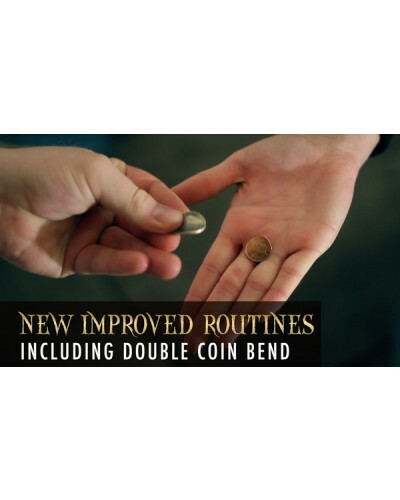 On the DVD, Kevin Reylek takes you step-by-step through the design and operation of the gimmick, and he also teaches routines that can be performed by beginner or advanced magicians. There is even a variation that allows you to give away the coins at the end! The Captain & Coke 2.0 gimmick works perfectly for any Scotch & Soda routine and is ideal for any venue or performing style. Please note: There is an inferior knockoff version on the market. Our product is the authentic version with high quality coin and original DVD.